Engaging in regular exercise is a keystone to health and vitality, and for many people, convenience and accessibility are key factors in maintaining an active lifestyle. 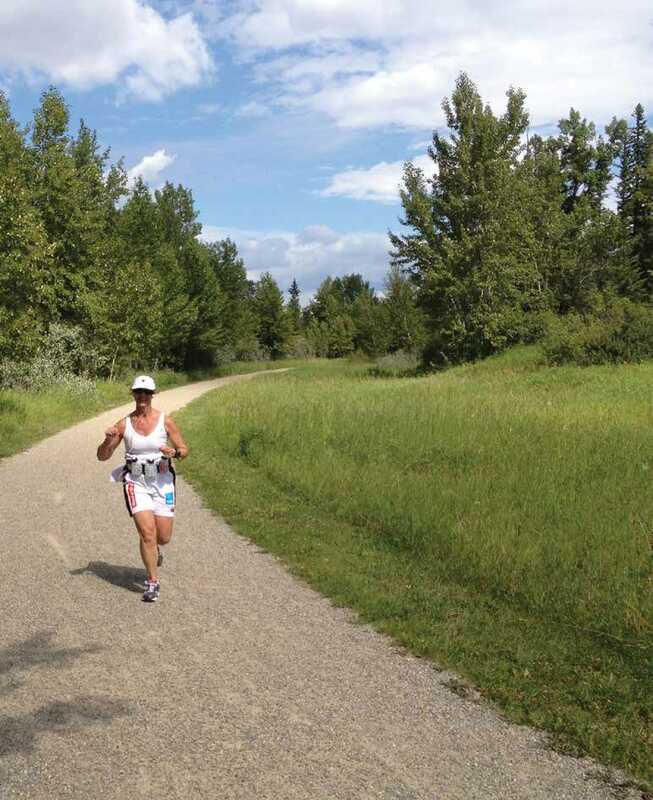 Fish Creek Park and the planned Calgary Greenway, a 138-kilometre network of parks and pathways encircling the city, offer a terrific escape for active individuals and outdoor enthusiasts, while saving the travel time associated with getting out to the mountain parks. 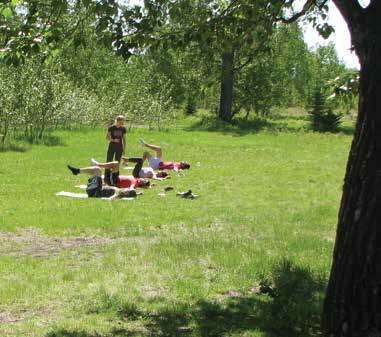 The trails and features of Fish Creek Park offer the opportunity to try a wide variety of activities: hiking, running, cycling, fishing, rafting, showshoeing and cross-country skiing. Think of these activities as crosstraining for a preferred sport if you like, and consider the opportunity a wider range of activities provides for staying active on a regular basis. Snow and cold weather are facts of life in Canada, and hunkering down indoors to make it through the long winter months can be very tempting! Instead of hiding indoors, try out a new winter sport or simply get outside for a walk along a park trail. You may be surprised how much more enjoyable exercising in cold temperatures can be compared to running on the treadmill in the basement. If you’re not sure of the closest entry point to the park trail system, check out the maps on pg 22 – 25. Cross-training and staying active year round allows you to flow from one activity to another with very little body discomfort. Many people leap into action after many months of winter hibernation and overdo their springtime exercise debut, leaving them feeling stiff, sore, and out of shape. More often than not most individuals pass off their poor fitness with the excuse of “I’m getting old,” rather than admitting the neglect of their health. If our bodies are only used actively for a third to half the year, we can’t really expect them to perform properly. Staying physically fit throughout the year will reduce the chance of injury, but it is also important to warm up, cool down, and stretch. Warming up is most important for anyone planning to push their body a little harder. It involves using the same muscles you will be engaging for your activity, but to a lesser degree. For example, a brisk walk is an excellent way to warm up your muscles for a run. Alternatively you may also engage in a completely different exercise that still activates the same muscle groups. On the other hand, if you have already undertaken prolonged or intense exercise, cooling down is a good idea. Maintaining a good posture while your body cools is key, and just walking is one of the best things you can do. Think of your body as “gelling” after exercise, just as Jell-O solidifies in the fridge after cooking on the stove. If you were to immediately jump in your car and head home after exercising, your body will cool into a forward slumped slouch – not an ideal posture. When it comes to stretching, confusion abounds, but it is actually very simple. I am often asked questions such as “should I stretch before or after I work out?” “I heard I should never stretch a cold muscle,” and “how long should I stretch for?” Unless you already stretch regularly, throw all the questions away and just stretch! Having said that, typically I recommend holding a stretch for 30 seconds and repeating it 2 or 3 times. If you are new to stretching, just hold each stretch once for 30 seconds, and gradually work into a routine to stretch the entire body. Stretching each major muscle group for 30 seconds adds up, but in ten to fifteen minutes per day you can create a much more flexible body. As for “what stretches should I do?” and “how do I do them?” you can consult a personal trainer, chiropractor, or physical therapist, or start with YouTube! This is a great resource. Just search for your preferred activity with the word “stretches” after it for links to have hundreds of how-to videos. Developing a good stretching program requires a little trial and error, but your increased flexibility will keep you moving like a young person for a long time. The only time I would advise not to experiment with YouTube stretches is when trying to rehabilitate an injury or when working with a chronic problem. Injuries are quite often complex and require a more discerning approach. If you are physically active long enough, it is likely you will have an injury at some point. For the most part these are strains, sprains, and repetitive use injuries, and with proper care they will resolve in time. If you do find yourself with an injury caused by your recreational sporting endeavors, it is wise to seek help sooner rather then later. Finding a therapist or chiropractor who participates in similar, if not the same types of activities as you is a great place to start. They can set you up with appropriate selfcare tools and provide manual therapeutic intervention. If help is days away, be sure to ice any new injuries. Many people are confused about whether to apply ice or heat to an injury. Ice works on the body by constricting blood vessels, decreasing any residual bleeding into a tissue to limit bruising, swelling, and inflammation. On the other hand, heat dilates blood vessels, opening them wider. This is problematic if there is any damage to the blood vessels in the injured tissue by causing more bleeding and inflammation. Heat is nice to loosen up stiff and sore muscles when no inflammation is involved, but can make a big mess if there is tissue damage. So when in doubt, use ice! One of my favorite things to use the Fish Creek park trail system for is mental and spiritual self care. In the park I can find a place of tranquil solitude, I can breathe deeply and slowly for a few minutes and remind myself of what I am grateful for in my life and what awesome things have yet to happen that I can be excited about. I can empty my mind of all thought and give my brain a break! Engaging the mind and reprogramming it to a more positive and inspired state is a must in today’s world. A negative, fear-based tone is prevalent around us and it is easy to drift that way ourselves without taking action to prevent it. 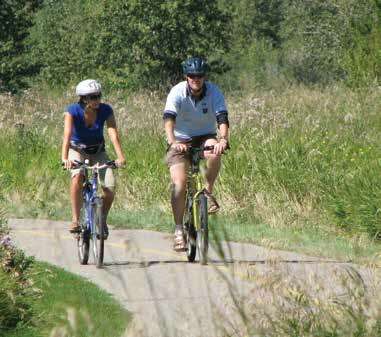 You can be healthy by choice, not by chance and Calgary’s green spaces are always there, always open and convenient. Warm up, stretch, be active and let your spirit be reinvigorated!